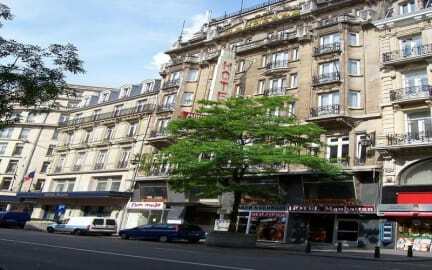 Hotel Manhattan is ideally located in the heart of the city center of Brussels. The historical 2-star Manhattan is set in the historical center of Brussels. Founded in 1930, the hotel underwent a complete renovation in 1995. The dining options include a complimentary continental breakfast served in the dining room. The banqueting hall, cocktail and meeting rooms are also available. The property offers a wake up service as well as a safe deposit box, a vending machine and parking (for more information, please do not hesitate to contact the property). Hotel Manhattan is ideally located, perfect for those who want to discover and relax in Brussels. 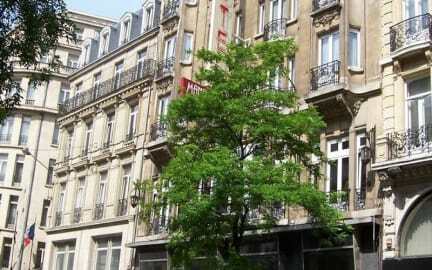 Located in Elsene / Ixelles district, 1.6km from Theatre De La Samaritaine, Notre Dame de la Chapelle and Parlamentarium. Manneken Pis, Vismêt and Jeanneke Pis in Brussels are located nearby. A 5-minute walk will take you to Rogier subway station. 15 minutes by car from Brussels airport. Hotel Manhattan offers a wide range of accommodation for all. The hotel has single, double, triple and quadruple rooms with breakfast included. For your comfort, all rooms are equipped with private bathroom, work desk, TV and direct phone. Child friendly. All children under the age of 3 may stay free of charge when using existing bedding. Cots are available for 10 euros per day. Pets are allowed at this property. Extra-fee: 5 euros per day. For more information, please do not hesitate to contact the property before arrival. Mooi oud hotel dat wel aan wat vernieuwing toe is. Kamer gedateerd en niet heel schoon! Bedden zo oud dat je er bijna doorheen zakt :-) Ontbijt stelt niet veel voor. Hotel is zeer verouderd en in desperate need of renovation. In de 1e kamer deed een kraan het niet, was een stoel stuk, het slot vd badkamer was stuk, gaten in plafond, muur en vloerbedekking. Kamer was bovendien superklein. De 1e receptiemedewerker was niet bepaald vriendelijk. Gevraagd om een andere kamer en toen kregen we er grotere met balkon. Hier was de stoel niet stuk. Verder hetzelfde als de ander kamer + afgeraffelde handdoeken en gordijnen. Veel te duur.